Wizards of the Coast, 9780786963713, 378pp. 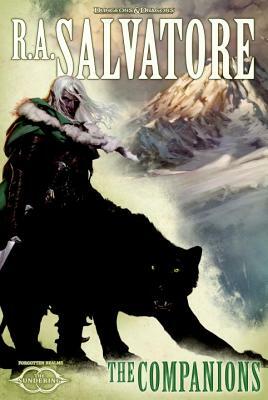 "After a quarter of a century, R.A. Salvatore just keeps getting better and better, and The Companions is another masterful leap forward for one of the greatest fantasy epics of all time." R.A. Salvatore is the New York Times best-selling author of more than forty novels, including the popular Forgotten Realms series The Legend of Drizzt. He's an avid gamer, father of three, and loyal citizen of Red Sox Nation.